Parents love all-inclusive resorts because they make life easy. It's convenient knowing what a vacation will cost up front ​without feeling like you're being nickel and dimed during your stay. Meanwhile, there are usually ample activities and kids' clubs to keep the children entertained. Plus, many of the restaurants have kids' menus—while the adults can indulge in bottomless drinks. All-inclusive resorts are plentiful in Mexico and the Caribbean, but there are also great choices within the United States. It's a myth that you need to go to the Caribbean or Mexico to find a fantastic all-inclusive resort. In fact, some of the best all-inclusive resorts are in your own backyard—no passport needed. The best American all-inclusive hotels include Vista Verde Guest Ranch in Colorado, Lodge on Little St. Simons Island in Georgia, Mohonk Mountain House in upstate New York, and Grand Hotel on Mackinac Island in Michigan. Looking for an all-inclusive getaway in the sun? The Caribbean and Mexico are full of all-inclusive resorts that are appropriate for all ages. There are kid-friendly chains known for their G-rated focus, from family accommodations to children's programming. Club Med Cancun Yucatan in Mexico and Iberostar Punta Cana in the Dominican Republic are two top options. All-inclusive resorts in the Caribbean are extremely popular with families, who love their beautiful beaches, amazing pool complexes, and over-the-top activities, such as trapeze, arts and crafts programs, water sports, and more. St. Lucia's 85-acre Coconut Bay Resort, for example, has a waterpark with two slides and a lazy river for the children, as well as an adults-only pool and lounge for the parents. In Jamaica, the Franklyn D. Resort takes "all-included" a step further: each family has their own "vacation nanny" during their stay. Other family-friendly features at FDR include large suites, a kids club, a 100-foot waterslide, and scuba for ages 10 and up. 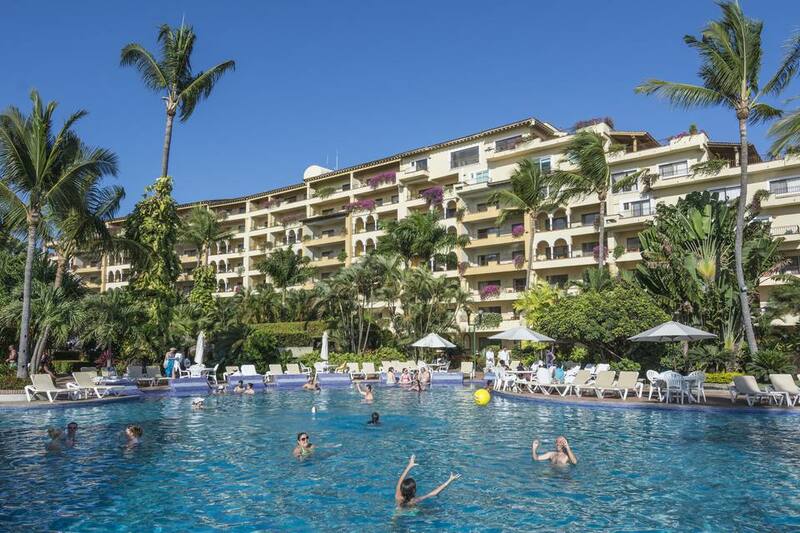 With their tempting low prices and various amenities, Mexico's all-inclusive beach resorts are a favorite for family vacations. On your next trip south of the border, book a few nights at Grand Velas Riviera Maya Resort or Beach Palace Cancun. The resorts don't have to be huge. A smaller and calmer resort, the AZUL Beach Resort Riviera Maya is a relaxed option that still offers great rooms and recreation for families. Rooms can accommodate up to three children and have upscale amenities including jacuzzi tubs. Their Nickelodeon Playhouse, featuring many of the favorite characters, is a huge draw for families with young children. With its sugary white sand beaches, historic ruins, outstanding snorkeling, and relentless sunshine, the Riviera Maya is a magnet for families. The Riviera Maya, a stretch of beach towns south of Cancun, offers scores of kid-friendly all-inclusive resorts with excellent children's activities. Don't miss the Grand Palladium Riviera Resort & Spa or the Sandos Caracol Eco Resort. Club Méditerranée, better known as Club Med, is a French brand of premium all-inclusive vacation resorts found in beautiful locations around the world. Although some Club Med resorts are for adults only, many welcome younger crowds and feature a wide array of activities for the whole family. Club Med Punta Cana in the Dominican Republic and Club Med Columbus Isle in the Bahamas are both worth a visit. If you're looking for an affordable all-inclusive resort in the Caribbean or Mexico, don't worry, they're not too hard to find. The best budget stays are Divi Village Golf & Beach Resort in Aruba and Viva Wyndham Tangerine in the Dominican Republic. Combine a family trip to Europe with the affordability of all-inclusive hotels. Options range from beach resorts on the Mediterranean to nearly-all-inclusive cruises and family adventure tours. It doesn't have to be a stay at the beach, either. For a winter getaway, how about an all-inclusive vacation at a Club Med resort in the Alps where one price includes lodging, meals, ski and snowboard instruction, kids programs, and entertainment.